Thanks for choosing The Studio Dance and Fitness! Select your dancer's age to register her/him for their basic, ballet, tap, jazz/acro. If you choose to take additional classes, select those at this time as well. You must be enrolled in a basic class to take Ballet, Pom, Hip Hop, and Competition. If you choose to take Tumbling ONLY, be sure to select that option. As the legal parent or guardian, I release and hold harmless The Studio Dance and Fitness, its owners and operators from any and all liability, claims, demands, and causes of action whatsoever, arising out of or related to any loss, damage, or injury, including death, that may be sustained by the participant and/or the undersigned, while in or upon the premises or any premises under the control and supervision of The Studio Dance and Fitness, its owners and operators or in route to or from any of said premises. The undersigned gives permission to The Studio Dance and Fitness, its owners and operators to seek medical treatment for the participant in the event they are not able to reach a parent or guardian. I hereby declare any physical/mental problems, restictions, or condition and/or declare the paricipant to be in good physical and mental health. I request that our doctor/physician ________________ be called and that my child be transported to ______________________ hospital. Please include physicians' phone number _______________. Class placement is based on age, ability, and previous experience. It is subject to instructor's approval. Advanced placement is determined by evaluation throughout the year. Please refrain from becoming competitive and wanting your child in a higher class. The instructor will place your child in the best class for her. A child placed in a higher class before they are ready will only result in the child becoming frustrated with dance. Bills will be given the first week of each month. A $10.00 late fee will be added to your account if your payment is not received by the fifteenth of that month. The late fee will be added each week until the balance is paid. This will be enforced. Students will NOT be allowed to participate in the performance, competitions, or conventions, if their account is not current. In addition, students will not receive costumes if their account is not current. If a balance continues to not be paid, the student must drop classes. There will be a $25.00 charge for returned checks. After 2 returned checks The Studio will no longer be able to accept checks from that individual. The Studio will NOT accept postdated checks. A $130.00 Revue Fee will be charged to each account in January. Every family member after the first will be charged a $105 recital fee. A $30.00 DVD Fee will be charged to each family in February. There will be three costume deposits in the amount of $50.00 for 30-60 minute classes and $60 for 90-120 minute classes. A fourth deposit may be charged for any remaining balances. These fees will be added to your bill in August, September, and October. Costumes will be ordered in November. Extra Classes (Pom, Hip Hop, Tumbling) will have a $50-60 fee as well. We will have fundraisers throughout the year to help with costs of the Recital Fee, DVD Fee and Costume Fees. These fundraisers are optional. First child is full rate; each additional child receives a $5.00 discount. We would like each of our students to have the opportunity to take as many classes as they would like. To help you, the parents, we have a $100 cap limit per dancer on monthly tuitions. Once your tuition reaches $100, your dancer may take unlimited classes. If a student withdraws from The Studio at any point during the year no refunds will be issued. If the student withdraws after January 1, a $50 restaging fee must be paid. In addition, if costumes have been ordered the student is responsible for paying for his or her costume. Costumes MUST be picked up before the dance revue, or the costume is property of The Studio. The Studio accepts payment in the form of Cash, Check or Credit/Debit Cards. We do have an online payment option. You can also choose to have your card auto drafted (however, this is not mandatory). Cards that are set to autodraft will be drafted on the first of each month. If any amount is charged to your account (ie from the Studio Store), that amount will be drafted on the 20th of each month. You can view your account, make payments, or make changes to billing information at any time through our Customer Portal. 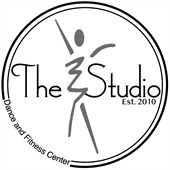 The Customer Portal can be accessed through our website, thestudiodanceandfitness.net. Attendance is important! It is unfair to the students' classmates if that student has inconsistent attendance. Therefore, regular attendance is MANDATORY. Students are allowed 3 unexcused absences. There is no refund for absences. A doctor's excuse must be provided in order for the absence to be excused. Rehearsals on the week of the review are MANDATORY. The Studio will observe the following holidays:?Labor Day	Thanksgiving	Halloween?Christmas/New Year	Mardi Gras (Day)	Delcambre Homecoming?There are no deductions from tuition as there are months with 5 weeks and extra rehearsals. Students are expected to follow the following rules. ?- The dance studio is not a playground. Parents MUST monitor children when they are outside of class. ?- NO gum, candy, food, or drinks allowed in the dance rooms. (Water bottles are acceptable. )?- Cell phones must be turned off or turned to silent. Absolutely NO talking or texting on the phone while in class. - Keep a positive attitude and treat teachers and other dancers with respect. - We suggest dancers arrive 5-10 minutes early to prepare for class. - Our instructors have many duties to tend to prior to being in class and may be teaching another class. Therefore, they will not be responsible for any child who is dropped off more than 15 minutes before or picked up 15 minutes after class. Please note that doors will be unlocked 15 minutes prior to the first class. The front doors of the studio will open at 4:45 each day. Attire: Attire will consist of leotard or dance top with tights. Short bike shorts and warm up shorts ONLY are acceptable. Clothing should fit the body snug and not be baggy. Tshirts should not be worn for class. Hip Hop Attire: Street attire that is loose fitting is acceptable for Hip Hop class ONLY. No sweatshirts, jackets, or jeans are allowed. ?Hair: Hair must be secured away from the face in a ponytail, braid or bun. ?Accessories: No jewelry or watches may be worn during class. (Small post earrings are acceptable. )?Shoes: Please write your child's name in ALL shoes. The following is a list of shoe requirements. The Studio also has dancewear for sale in the lobby. It is mandatory for all students to have the correct shoes that fit by October 1st. Intermediate, Junior, and Senior Classes - Half Soles, tan jazz taps, and tan jazz shoes. It is mandatory for all students to have the correct shoes that fit by October 1st . Notes will be sent home with your child monthly. Please check dance bags regularly to be sure that you are informed of notices and events. Notes will also be emailed to the email address associated with your account. To contact DeLannie, you can call or text her at (337)523-0144, or you can e-mail her at the.studio@yahoo.com. We also use mass texting to communicate with our parents. Please text STUDIOdance to 97000 to receive these updates. It is very important that you do this to receive up to date information.